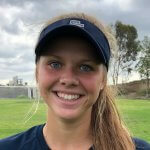 Kinzie Hansen of Norco (Calif.) High returns to make the SoCal team a favorite nationally in 2019. It’s been a brutal winter across much of the nation, but spring is right around the corner and warmer times are not too far away. How do we know? Because the high school softball season has already started in some states! We’re excited to have high school rankings this year all the way through the spring as we march towards crowing a No. 1 national champion when all the teams are playing. Mark Tennis, the best in the business when it comes to national and California high school team ratings, will be overseeing our prep rankings. Based in Stockton, Calif., Mark has been a national magazine editor for 11 years, a director of ESPN’s FAB 50 national rankings in nine sports for four years (2008-2012) and has compiled national rankings in girls volleyball and girls softball for more than 20 years. He’s also a charter member of the CIF Sac-Joaquin Section Hall of Fame (media category) and has authored the book “High School Football In California.” Be sure to check out his site, CalHiSports.com, for the best California high school sports coverage including state rankings. Sarah Willis was the ace for the Cougars. 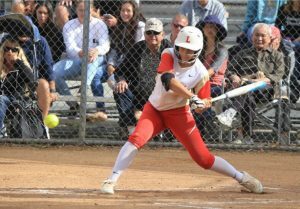 Two years ago, the Cougars were almost wire-to-wire atop the national rankings but lost their only game in the CIF Southern Section Division I championship to Los Alamitos. They’ll try to do it again with a group that at the end of last season was so dominant in winning the CIFSS D1 title that it would have been hard to bet against them in any game played against any opponent in the nation. The only reason they didn’t end No. 1 in California was suffering a loss to CIF San Diego Section Open Division champion San Marcos and they didn’t win the Michelle Carew Classic (another San Diego team, Cathedral Catholic, did). 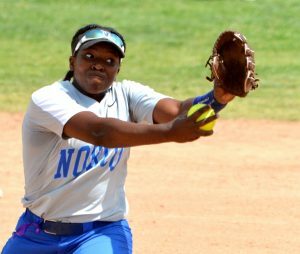 Norco also has not one but two of the leading Ms. Softball Player of the Year candidates in California. Senior catcher Kinzie Hansen (signed with Oklahoma) already has been State Player of the Year for freshmen, sophomores and juniors and returns after batting .596 with four homers and 29 RBI. Junior Sarah Willis (Washington) got it done in the circle (1.40 ERA) and at the plate (.486, six homers). The team’s third All-America candidate is infielder Paige Smith (Ole Miss), who ripped five homers last season with 25 RBI and had a .470 average. Madi's Davis was the Kissimmee Klassic Tournament MVP. Head coach Christina Thompson’s program was near the top of the nation in 2017 and 2018 and has all the ingredients to perhaps get to the No. 1 spot in 2019. The Knights fell short in the Class 8A state title game to a Hagerty (Oviedo) squad that lost a lot of seniors. On the other hand, they have a very strong group coming back. Four were on the all-state team: pitcher Madi Davis (Central Florida), infielder Baylee Goddard (Florida), junior infielder Kaylee Lambrecht (N.C. State) and outfielder Katie Kistler (Florida). Davis went 18-2 with a 1.06 ERA, Goddard hit for a .346 average, Lambrecht tied for the team lead with 26 RBI, while Kistler was an often spectacular leadoff hitter (.435, 24 steals). Seven players in all are headed to D1 colleges. If the first few games are an indication, this group clearly is a national title contender. Keller (6-0 start) returns a ton from a club that fell short of winning a third straight Class 6A state title and will be looking to make it three in four years. There’s a No. 1 pitcher back in Dylann Kaderka (24-2, 1.00, 150 Ks) with one of the top juniors in the nation catching in Hayden Brown, an LSU commit (.508, six homers). Texas Tech recruit Amanda Desario (.506, 20 RBI) is the leader in the outfield while the infield has both sophomore Alexa Langeliers (.522, 36 RBI) and junior Brooke Davis (.395, 39 RBI). Ciara Briggs, an LSU commit, is one of the top outfield prospects in the nation. Head coach Steve Miklos recently told the Orange County Register this is the most talented team he’s had and the Lancers have had some of the most talented teams in the last five years in California. The Register’s preseason No. 1 team is led by LSU-bound outfielder Ciara Briggs, a no-brainer All-American who hit .490 last season with eight homers and 30 RBI. Both Taryn Lennon (12-3, 2.24) and Mia Bagatorian (14-2, 1.39) can get the job done as starting pitchers while more offense is expected from infielder Mariah Rodriguez (.422, 37 RBI), catcher Jaeden Barajas (.370, six homers) and junior infielder Victoria Fragoso (.316, 17 RBI). Although the Tigers have an early loss to Klein Collins, that doesn’t prevent us from putting them up among the top teams in the nation. They were contending for all the marbles last season until a Class 6A playoff series loss to eventual champion Atascocita. The returning cast is impressive, and one of them is the No. 1 pitcher from a year ago, Alyssa LeBlanc (Texas A&M Commerce). Catcher Cait Calland is headed to LSU and hit .402 with seven homers as a junior. Two of the Tigers also both signed with Texas Tech -- first base/pitcher Chloe Cobb and outfielder Tori Whillock. The Griffins didn’t slip much last season following their No. 1 national finish from two years ago and appear ready to field one of the top three or four teams in Southern California this season. 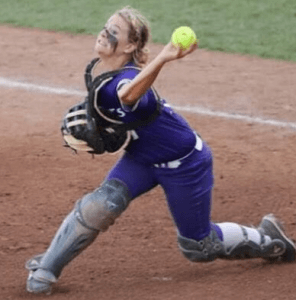 Pitcher Sarah Ladd returns as a Michigan State recruit after enjoying a standout 2018 campaign that saw her go 17-1 with a 1.07 ERA. Sophomore catcher Sophia Nugent also is back (.412, five homers, 31 RBI) while junior Ali Belarde bashed away for a .500 average last season with 16 RBI. Extra Inning Softball Player of the Year Macy Simmons tops the charts of returning players in Arizona. The senior catched header to Arizona State crushed it for 16 homers, 59 RBI and a .547 average. The Huskies are coming off of a season in which they battled Pinnacle of Phoenix at the top of the state rankings and near the top of the national rankings. Pinnacle won the state title in the end but Hamilton’s returnees (both teams lost ace pitchers) look just a bit stronger. Infielders Lorena Vasquez Inzunza (.500, 9 HRs, 52 RBI) and Teagan Dobson (.407) along with sophomore pitcher Loganne Stepp (11-0. 0.52 as a No. 2 pitcher) are three of those returnees. Autumn Acord has started since her freshman year. A longtime powerhouse in Ohio under head coach Jim Piazza, another unbeaten state title team for Keystone LaGrange would not be a surprise. The Division 2 state champs have just about everybody back. 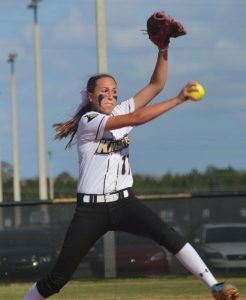 Pitcher Sydney Campbell went 29-0 with 0.20 ERA in 2018 and had three no-hitters plus three perfect games. Catcher Autumn Acord (Kent State) blazed away for a .649 hitting average with seven homers. Junior outfielder Marlie McNulty (Pitt) collected 63 hits and drove in 51 runs. Plus, utility player Shelby Fortune (Akron) hit well over .300. The Lady Rocks, who are defending Class 4A state champs, are bursting with top returning players. Purdue-bound Ashley Peters is one of them. She tossed a three-hitter in the state final and batted .500. Lauren Stegall (.425, 13 HRs, 50 RBI), Delaney Kelley (.415, 32 RBI) and freshman Taylor Pannell (Auburn commit) are also ones to watch. Lexi Kilfoyl (left) and Head Coach Diane Stephenson of Academy at the Lakes hold the Class 2A State Championship trophy. This is perhaps the most intriguing team for these rankings. It’s because the Wildcats are only Class 2A in Florida, but they are playing teams like Lakewood Ranch (actually twice) and defending Class 6A champ Land O’Lakes and may be in tournaments against the very best teams in the state. 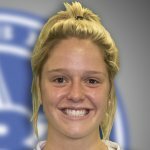 They also have a national player of the year candidate leading the way, Alexis Kilfoyl, and just about every player returning. Oh and last year, Academy at the Lakes played Lakewood Ranch and won. Kilfoyl, a member of the USA Junior National Team and headed to Alabama, posted a 23-1 record as a pitcher with a 0.32 ERA last season. She also swing the bat for a .482 average with 35 RBI.